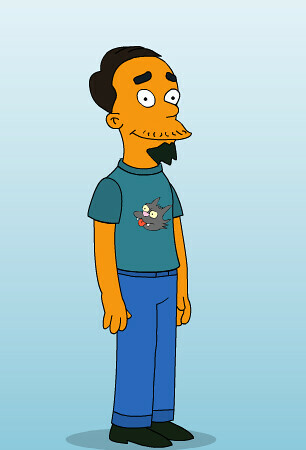 On the WorkBlog, I show off my Simpsons character (Glark, possessor of All Knowledge, tipped me and other Videogamey'ers to the site). I'm trying really hard not to be overwhelmed by iPhone stuff this week, even as I'm the person writing some of our coverage on the device. I'm not buying one, so I'm way past the "Sick of it" phase. I can't wait for next week and the possibility that they might all spontaneously combust or contain oily worms that, it will be discovered, power its indefatigable battery through the churning of internal soil. Anyhoo. We are officially in baby countdown mode. We have a little over a month left, which is close, but still seems interminable. Parts of the creature jut out from my wife's belly like she swallowed a giant chicken whole. You rub it and it's hard and firm, even a bit angular. Is that an elbow? Baby-knee? My God, the HEAD?! Alls I knows is that a Thing is coming and it will no doubt subjugate us, forcing us over time to clean its exponentially larger drops of feces, pushing our faces into the floor and commanding us to do its bidding, through sheer force of Cute. I never feared Cute before. Now, I believe it could destroy worlds.